The Regional District of Nanaimo operates 9 water utilities or Water Service Areas (WSA). A Water Service Area delineates the properties which will be charged for capital, maintenance and operation of the system. Costs must be allocated between the 9 water systems as accurately as possible so that budgets reflect the amount to be recovered from property owners. A supply of water for the purposes of drinking, fire protection, and irrigation. Weekly testing to ensure water meets safety and quality standards as designated by the Drinking Water Protection Act and the Drinking Water Protection Regulations. Please follow the links to your individual Water Service Area for well production and water quality information. System maintenance and 24 hour-on-call crews for emergencies. Long-term planning for infrastructure improvements or replacement. Public education and information on water conservation. What are the Water User Rates? RDN water service customers are billed twice annually, in May and in October. 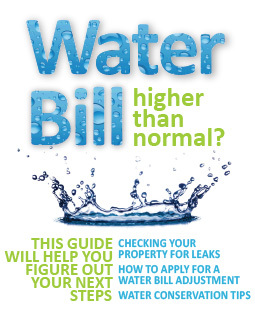 All customers pay for water by applying a rate schedule which encourages conservation. User rates increase with the amount of water consumed.